We’re continuing the Spring Fling today with some more titles that are just 99 cents for a limited time! 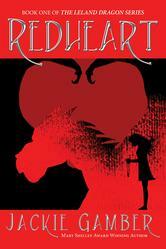 First up is Redheart by Jackie Gamber! seeks to subdue humans or wipe them off the face of the land. his past, and embrace a future he stopped believing in.